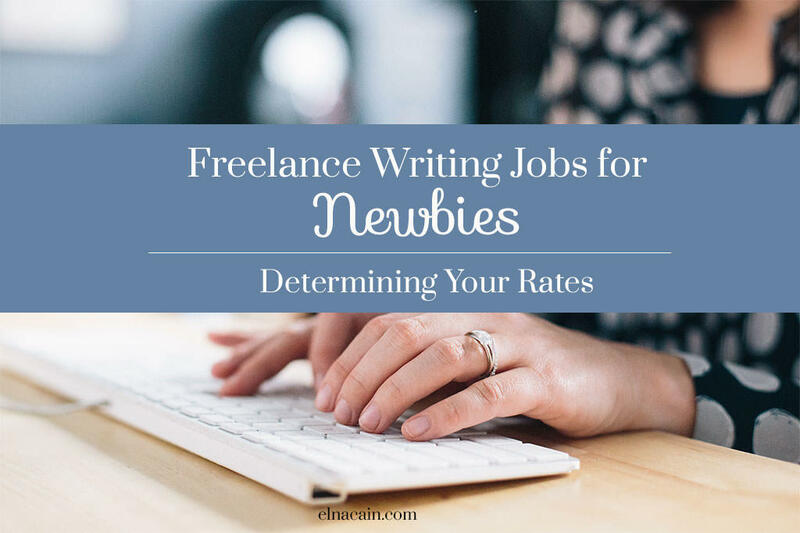 If you’re a new freelance writer, one of the hardest decisions to make is determining your rates. Oftentimes we undervalue ourselves and end up taking low paying jobs just to get by. Learning how to get paid what you’re worth is what my blog series, Freelance Writing Jobs for Newbies, is all about. I want to help new freelance writers start out on the right foot, earning big bucks when opportunity arrives. Part One, Landing Your First Client, helps newbies navigate the path to landing their first high-paying client. Part Two, 10 Questions to Ask a Prospective Client, gives the new freelance writer key questions to ask during an interview. In this post, I’m going to lay out what you need to know when deciding your rates. How do you know if you’re charging too much or too little? What’s the going rate for freelance writers? How much should you ask for your writing? When I first started freelance writing, I asked myself the same questions. At an attempt for answers, I started asking other freelance writers what their rates were and looking at freelance writers’ websites, seeing if they posted their rates. I wanted to know if there was a standard. I learned quite quickly that there isn’t one and I shouldn’t base my pricing on what other writer’s charged. Before deciding on a precise dollar amount, you must take into account that every writer brings something different. While you don’t need a journalism degree to be a freelance writer or blogger, the more experience you have in this profession, the better you have at getting away with charging $300 a blog post. Having a degree in writing also doesn’t hurt. It helps add credibility to your brand. Some niches, like finance and business, are more lucrative than others. Try to use your past experiences to add to your established niches. For example, as a mother I suddenly became concerned with all the bad chemicals I used every day from washing my hands with triclosan to putting on lotion filled with parabens. Having children opened the doors for me to learn everything there is about green products and natural living. Because of my new interest, I can now say I have expert knowledge in green living. Your price should also be reflective of the type of writing your client requires. I don’t want you to think you have to have one overall price point as a freelance writer. Each client and each writing assignment should be looked at individually. For many writers, technical writing usually warrants a higher price than let’s say a blog post on pet products. While most technical writing requires the writer to be familiar with industry related terminology, don’t let that stop you from trying to get your foot in the door. If you are fortunate enough to have clients that provide services or products within your niche, you can often price accordingly. Usually, for known topics and products, writing comes a little easier and faster for freelance writers. Because of the familiarity, many, if not most, freelance writers will quote a lower price than they would for an unfamiliar niche or product. Clients often need fresh new content yesterday. When you know how often they need content, you can judge whether the time frame fits your schedule and base your price off that. For instance, if a client wants a 1,200 word article on a known niche in 2 days, I will add a predetermined percent to my price. I will also let the client know this in case they want to adjust their turnaround time frame. How Does a New Freelance Writer Charge a Client? Do you charge per hour, per word or quote a flat rate? What are the benefits of using one or the other? I highly suggest you don’t limit yourself to pricing per hour. In the end, you will be making less than what you actually deserve. Per hour rates also doesn’t apply to many freelance writers. For me, I’m a WAHM with many distractions throughout the day. I’m lucky if I can type for more than 2 hours at a time without interruptions from my children, husband or chores (cooking, laundry etc..). Also, you don’t want to scare off clients by telling them you charge $300/hr. For many people, that’s crazy talk! But if you instead, give an overall price of $300 for a writing assignment, it’s easier to back that up by saying you’ll do extensive research, interviews and that you have expert knowledge in the industry and…yada yada yada. Look at it this way, if you are a fast writer, charging by the hour will result in less earnings. You’re essentially penalizing yourself for being a fast writer! Pricing per word is common for journalists and freelance writers. Publications also quote a per word price point when advertising for a writer. Online writing can yield you anything from $.01/per word to $.50/per word or more. But if you do print publications or write articles, don’t be surprised to see price points starting at $1.00/per word. As a new freelance writer, you may think that if you quote a low rate, you will get more clients. 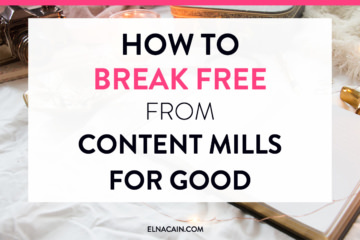 What you will actually get is clients that don’t value content creation and will treat you like a content mill worker. To get out of that mindset, aim higher. Of course, without any experience you must start somewhere, but don’t start at the bottom! Ultimately, if you’re a good negotiator, you can get what you deserve. For me, I’m starting to lean towards flat rates for my clients. I think it’s easier for them to justify what they are paying and makes it easier for them to budget for your services. 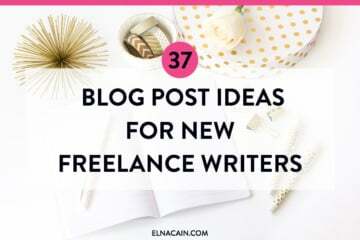 One thing I’ve seen other freelance writers do is advertise service packages for their content that includes social media marketing, number of outbound links and the use of images. So for example, you can charge $400/month for 1 blog post a week with active social media marketing, free creative commons images and 3 outbound links. The same package without social media marketing and images can be $300/mth. I generally price less for content that is familiar to me or that uses my own experiences as the focus of the writing. One more thing that freelance writers also do when considering their rate is to base it off their hourly rate from their previous job and inflate it a little. This is to account for self-employment taxes and any other expenses for your business. You could then use this minimum rate as an indicator whether or not to take on a client or writing assignment. It’s important before determining your rate as a freelance writer to take into account all the considerations that influence one’s rate. Are you ready to put it into action? Figuring out your rate can be a tough one. Try to turn your back away from content mill rates and instead, show clients you are a serious and professional writer! In my next post for Freelance Writing for Newbies, I’m going to talk about the importance of having a contract in place. So readers, enjoying the series? I hope so! Let me know in the comments below how life of a freelance writer is treating you! I’m starting today my what I hope will be a profitable and very rewarding freelancer career. It’s been a while since my last writing adventures and I want to retake it, specially since I’ve learned so much since then when I was only a business student with a passion for books and words. I encountered your post researching exactly that, an acceptable rate fee, and I think you’re right with the flat rate, but since I still don’t have much to offer other than translations and some writing I think I’ll get started with an intermediate hour rate. that way I believe I can learned how the freelancing market behaves and adapt accordingly, don’t you think? As my career advances and my skill set get wider, I hope to be more on the flat rate side or the rate per work. But these comments certainly help in not get frustrated if something doesn’t go as expected. That’s great you want to pursue freelance writing. Ideally, a flat rate or per word rate is ideal. But, since your experience is in translations, you can opt to do an hourly rate for that services and a flat rate for your writing. It’s up to you, but I find hourly rates tend to make you much less money for the work you produced. I offer coaching and I have a course to help you navigate successful freelance writing. I love all the tips you give here. They’re all spot on and super useful. 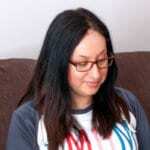 I really liked your post too over at FreelancerFaq’s about figuring our rates. 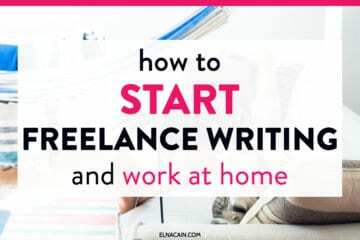 Wow Elna, that’s a great post for people eager to learn how to start their freelance writing careers. I have some friends that are freelance writers and oftentimes they’ll tell me they can write for any niche. I guess that’s why I have a hard time understanding all of this since I can barely write for my own blog. LOL!!! I know it involves research and then of course writing at the level that your clients would approve. I think I would be more nervous about that, will they like the piece and is it worthy. See, you can tell I’m not a writer. I love this post though, very helpful for anyone eager to learn all about this. I’ll be sure to share this with my friends as well. Give it another boost up. Hope your new year started off well and your week is even better. Enjoy yourself and thanks again. I’m always so humbled when you come to my blog! You are too nice! Thanks for the wonderful comments. I love reading your blog because it’s real and it oozes your personality. Many clients want that in a way (as long as it doesn’t deter from their brand). That is why I added a tagline for my writing business – “I add color to your content.” I add a pop of color and personality and turn your bland content into colorful content! BTW I like your tagline too! Totally fits who you are and what you do! January has been a whirlwind so far. I’ve had a boom of business and I’m learning as I’m going. I’m making my fair of mistakes, especially in the communication department. Time zones really put a hamper on things too! My morning is often my clients’ evening! I’m glad you’re back to blogging and can’t wait to read more! Thanks for stopping by! Hey! This is great! Ya know, I’ve been freelance writing for the last 4 years but I still feel like a noob! I’m constantly tweaking the way I do things and learning new information. I’ve been a writer my whole life (by hobby not trade), but when I started freelancing I had no knowledge of how freelancing and self-employment actually worked. All the factors you have to take into consideration can be really overwhelming, so it’s great to have some sort of guidance on this stuff and to hear how other people go about it. Can’t wait to read your post on contracts! This is sort of where I’m at right now in freelancing. Haven’t used them in the past but I’m planning to this year! I have a question about some things you mentioned in this post in regards to service packages. What do you mean by including outbound links and free Creative Commons images in the package? I know what outbound links and creative commons images are but how do they figure in to your service as a writer? Thanks for leaving a comment. I’m always happy to see new people on my blog! I’m glad you found this post and my blog series helpful! I’m hearing a lot of positive feedback from my blog series, and may eventually turn it into an eBook (free of course). We will see! As for being a WAHM, I’m finding it very difficult with the time management. But, like you say, it’s par for the course. My children, husband and house have to come first before my work. As long as I don’t take on too much work, then I can safely manage. I also need to work on being more efficient with what little time I do have. I tend to spin the wheels and get off track if I don’t have deadlines or writing work. So far I’m managing and my business is growing! In regards to your question about service packages, some clients want to be assured that you are putting in the research and effort when writing for them. It’s nice to let them know that you will provide outbound links as part of your package. Not all freelance writers do this. Some packages just might be Social Media Managing, Blog posts and blog management. Others might be Blog posting, comment monitoring and sourcing photos. It all depends on what you want to do! I don’t do service packages, yet, but may in the future. Thanks for stopping by and I hope to see ya around! Hi! Thanks for the reply! To be sure, by outbound links you mean links from the client’s blog, let’s say, to another website? What is the reason clients would want MORE links pointing vistors away from their site? Is it because of SEO? Building trust, being reputable, increasing relevancy and such with the search engines? Hi Shakeitta, most links would be for informational use. If I was talking about a subject like soical media listening, I can provide a link to a page detailing what that is, rather than me explaining it in my post. Other links might be promotional but that is something the freelance writer and client have to agree on. Really excellent information, Elna – I appreciate you sharing so much in-depth knowledge. It’s definitely opened my eyes to a few mistakes I’m making in my own freelance career. Thanks Kelly! I’m glad that my information was helpful! I’m always interested in knowing about rates and how to determine them. Then I decided, well I might as well write about it and it became a blog series! Another great post Elna. Pricing per hour may scare some clients, especially those who are familiar with bid sites. I agree with you that the best pricing strategy is to set a flat rate for a specific writing task or project. As Diana recently said, it’s all about perception. If you can express a “good deal” to prospective clients then they are more likely to trust you and give you more work. And for me, that’s easily expressed as a flat rate. Hope you stick around for my last blog post in my series, Contracts! You have explained superbly well to newbie freelance writers how to shift the perception in clients away from the hourly or per word rate they would pay and toward the end value they get out of it all. This is a sound advice for all type of freelancers – an example I like to give is for website review. I used to do a lot of them back in the day and I could easily get paid $1000 for website review which would amount to $100 or more per hour, depending on the website. Now, I doubt that I would ever find a client, especially on oDsk and Elance, who would pay me $100+ per hour for whatever service. But selling website review at $1000 was easy as pie 🙂 It is all about perception. You are precisely right Diana! There are still job ads in the freelance writing realm that quote an hourly price. While this the standard way to pay in traditional work, it isn’t in freelance or even in service based businesses. Thanks for your comment! I want new freelance writers to know that they don’t have to lower their rates to get work or any work for that matter. If you are a good writer and you have areas of expertise to draw from, I don’t see a reason not to try to grab some “big fish” in the sea. Perception is key! When you convince prospective clients the value they can get from collaborating with you, price shouldn’t be a problem. Those are the clients you want to work with– ones that know value. Found this on Triberr. Good stuffs and top notch writing! I love the idea (and totally agree too) on the pricing structure. If you want to close a deal especially to those who are price savvy, per hour cost is way easier to close the deal. People get surprised with a BIG numbers and therefore, avoid them if you can at all cost! Reginald, Thanks for leaving a comment! Glad you found it helpful. Although pricing per hour is probably better for businesses, it isn’t for freelance writers. We essentially get penalized for writing fast! I prefer a flat fee over anything else and try to present it as a package deal. Look at what you get for $$ this much. It seems to work, especially for those who know the value of content. Very detailed and informative post.. I hope you found it helpful! I’ve always am interested in what freelance writing should be rated. There isn’t really anything standard, globally, but there are guides to look at.